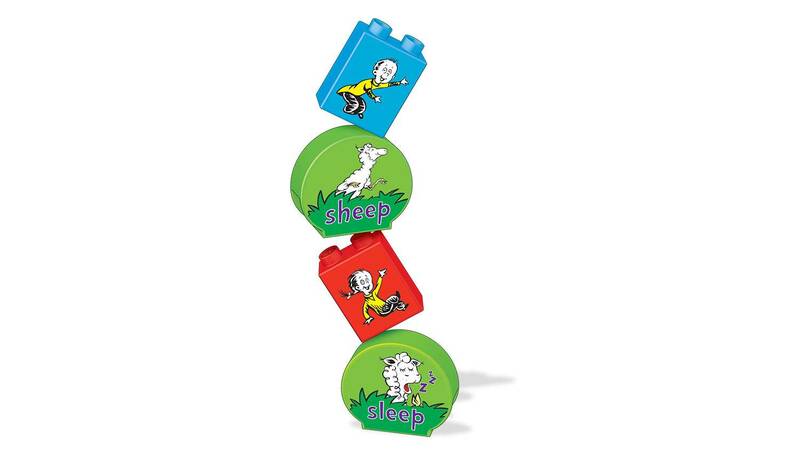 Match colors and numbers while the sheep take their slumber! Wave your hand with a swish and spin for fish! 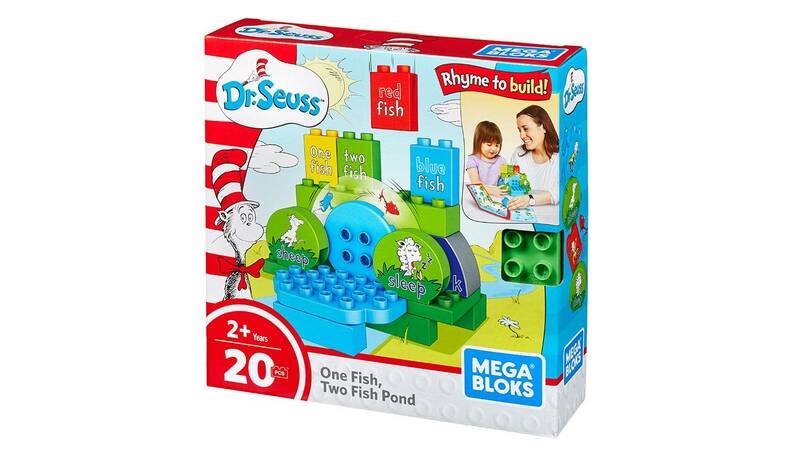 When you build the fish pond, little Dr. Seuss fans can use blocks to practice counting and matching colors while bringing a classic Dr. Seuss book to life! 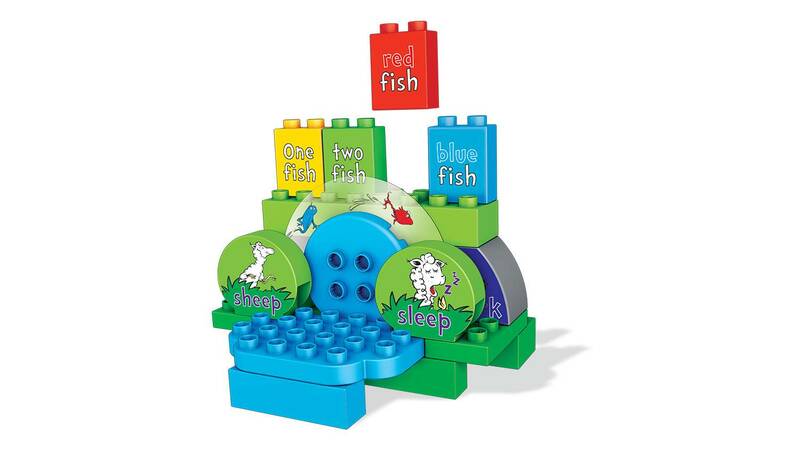 Follow the rhymes and stack the blocks to build a fish pond inspired by One Fish, Two Fish, Red Fish, Blue Fish. 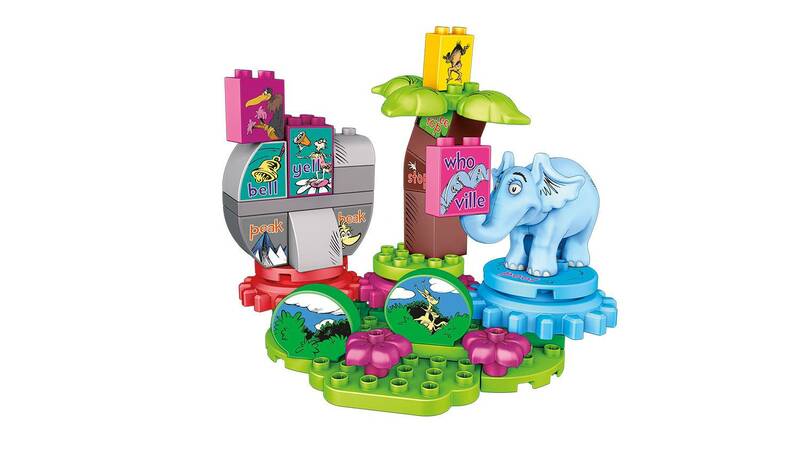 Then, spin the fish wheel and stack the blocks to match what the wheel reveals! Is it One Fish? Two Fish? Red Fish? Blue Fish? 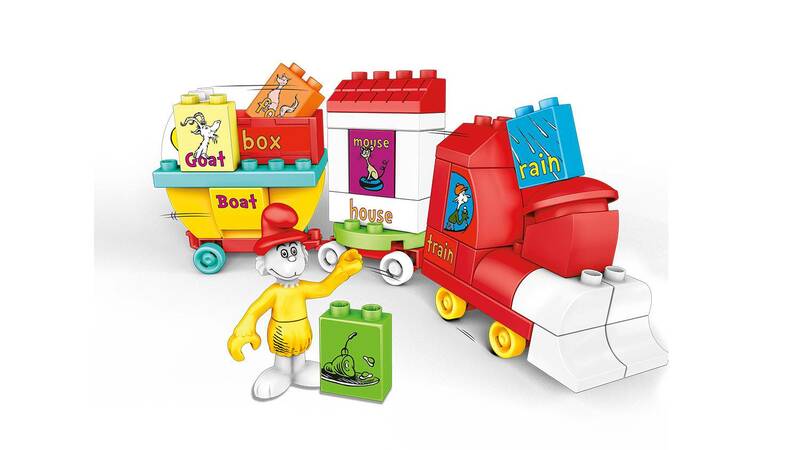 Build the entire Mega Bloks® Seussville world – one rhyme at a time!